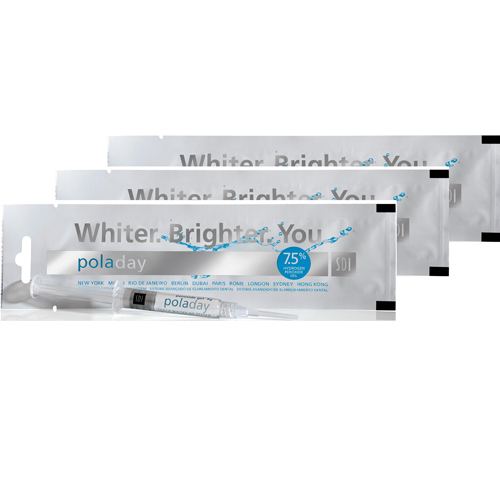 Pola Day is used as a take home whitening system. It is a mint flavoured crystal clear gel that contains a unique blend of soothers, conditioners and water to whiten your teeth fast with great results and minimal sensitivity. The gel is applied to custom trays (similar to a mouth guard), that you wear when you want to: at night or any time of the day. Your dental professional will recommend the exact product to suit your teeth and lifestyle.